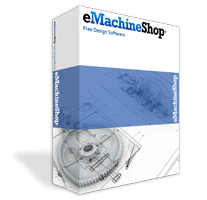 The eMachineShop video guides make it quick and easy to learn the eMachineShop CAD software, a simple but powerful tool that will open up a whole new spectrum of capabilities to bring your ideas, projects and products into reality. You can be a CAD expert in no time! Check out our instructional videos below and learn to use our free software. Amateurs and professionals can easily design and order physical parts from digital plans quickly and cost effectively.